If you are not in the market for a new car right now, fret not. The term “used” is misinterpreted when it comes to cars, which is why it is not part of the phrase “certified, pre-owned vehicle.” A certified, pre-owned vehicle is one that is returned to a dealership in great condition, with low mileage. These vehicles are then sold to interested parties at great prices. Here at Drivers-Licenses.org, we endorse your purchase of a certified, pre-owned car for several reasons. Continue on to learn why. There is a reason that a certified, pre-owned vehicle is considered “certified.” This is thanks to a thorough inspection performed by the vehicle maker. Certified, pre-owned vehicles go through intense screenings before they are released back on the market for sale. In fact, some inspections include up to 175 different checklist requirements, which should make you feel confident in purchasing a car with a “certified” stamp of approval. On the contrary, a used car may have many invisible issues attached to it that you will not know about until well after you drive off from the used car dealership – in it. Certified, pre-owned vehicles also have advantages, like limited warranties. What this means is that the dealership commits to taking care of issues that arise within a certain timeframe after you purchase the previously owned car. 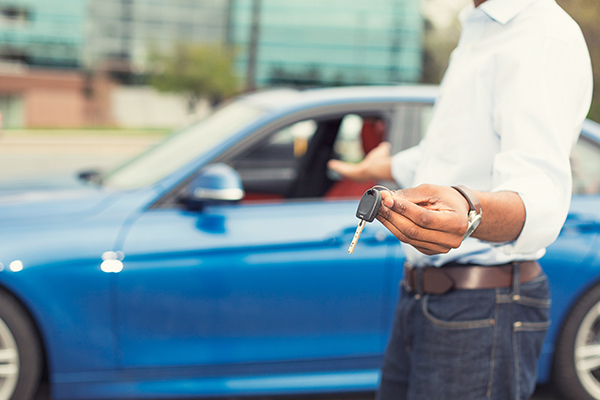 The team at Drivers-Licenses.org believes it is important to both ask about limited warranties and review their criteria prior to purchasing pre-owned cars. Either way, it is great to know that the dealer is still invested in your vehicle in some capacity. The top reason drivers consider purchasing certified, pre-owned vehicles is because they are more affordable in comparison to new vehicles. Although certified, pre-owned cars are more expensive than non-certified vehicles or cars you can buy privately from owners, they come with more guarantees than the latter. Affordability is key when buying a great car, and you can get a good deal on a 39-month-old car with less than 50,000 miles on it when buying certified, pre-owned. Buying a certified, pre-owned car has its pluses. One is the fact that there are no hidden fees or requirements, which are typically associated with buying a new car. At Drivers-Licenses.org, we believe you are doing a service to the dealership by taking a used car off its lot, and the process to do so is much more straightforward. For example, when you lease a new car, some dealerships require turn-in fees that are close to a month of your car payment or more! And, when the time comes to sign your contract, all of a sudden, the (hidden) fees have gone up $13 per month, because the dealership is trying to acquire more money in any which way possible. Conversely, these types of behaviors are not commonly introduced when buying certified, pre-owned cars, because you will not be returning the car, and incentives are not quite as prominent. Some car dealerships offer additional perks if you take a certified, pre-owned car off their lots. For instance, you may find that you receive free roadside assistance for a certain term, or even free satellite radio. It is best to inquire about these types of perks and promotions when you are negotiating your car purchase. After all, there’s no harm in asking.